Washington, D.C. —(ENEWSPF)–October 20, 2016. A new issue brief released by the Center for American Progress illustrates how a national paid family and medical leave program would benefit small businesses, allowing them to compete on a level playing field with larger employers while ensuring that all workers have access to strong work-family policy. Research from states that have already passed paid family and medical leave laws finds that paid leave is good for small business; in fact, there is evidence of positive effects on recruitment, retention, productivity, and overall performance and profitability. This research flies directly in the face of many critics’ warnings that paid leave laws negatively affect businesses, particularly small businesses. 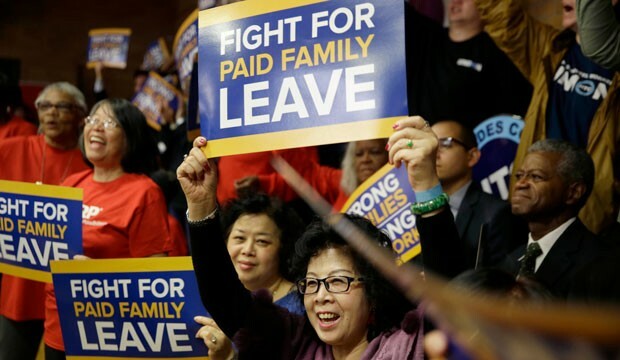 As CAP’s brief demonstrates, a national, government-administered paid family leave program would be particularly helpful for small businesses. Studies show that paid leave is an important factor in employee recruitment and retention. However, small businesses are often unable to compete with the benefits programs larger companies can offer and may lose out on talented employees or face higher rates of turnover as a result. CAP’s issue brief also includes testimonials from small-business owners explaining how paid leave has benefited or would benefit their businesses. Only 13 percent of private-sector workers in the United States have access to paid family leave through their employers to care for a new child or seriously ill family member, and less than 40 percent have access to personal paid medical leave through short-term disability insurance provided through their jobs.